J&A Hospitality Staffing, Inc., was founded with the purpose of being a new and innovative provider of quality staffing services in the Washington DC Metropolitan area. In 2006, J&A was formed as a 100% Woman-owned, NMSDC certified MBE and National Woman's Business Enterprise Certification (WBENC) company. During the last twelve years, the company has positioned itself as a leader in the Hospitality Industry. J&A Hospitality Staffing, Inc., goal is to service companies with outstanding staffing. We exist to attract and maintain customers. When we adhere to these principles, everything else falls into place. Our services will exceed the expectations of our customers and this will enable us to retain existing customers as well as attract new customers. What type of employee are you looking for? Simply answer the questions below and a J&A Staffing team member will contact you to complete your request. J & A Hospitality Staffing, Inc., is an Equal Employment Opportunity (EEO) Employer. We are always interviewing highly qualified and experienced hospitality staff. To know more about our capabilities, business summary, areas of expertise and certifications, visit this section and download our Capabilities Statement. 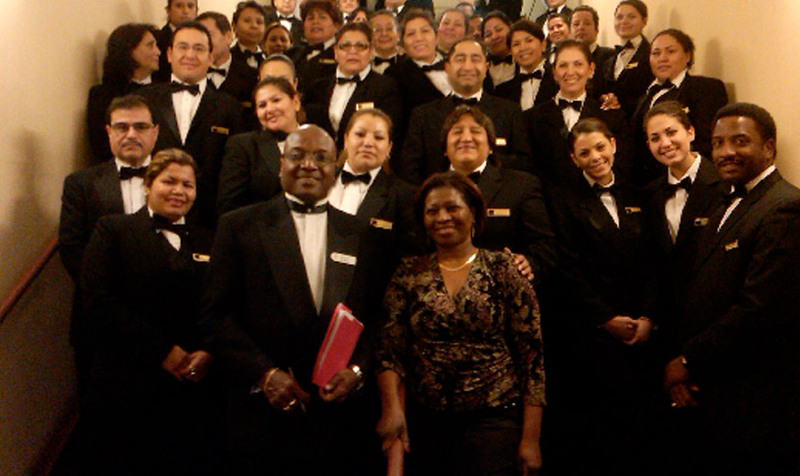 WE HAVE BEEN DELIVERING STAFFING SOLUTIONS FOR THE HOSPITALITY INDUSTRY SINCE 2006. J&A Hospitality Staffing, Inc., is a premier provider of temporary staffing solutions servicing Washington DC, Maryland, and Virginia delivering staffing solutions for the Hospitality Industry. The purpose of our company is to provide clients with highly skilled staff to perform front and back of the house services.